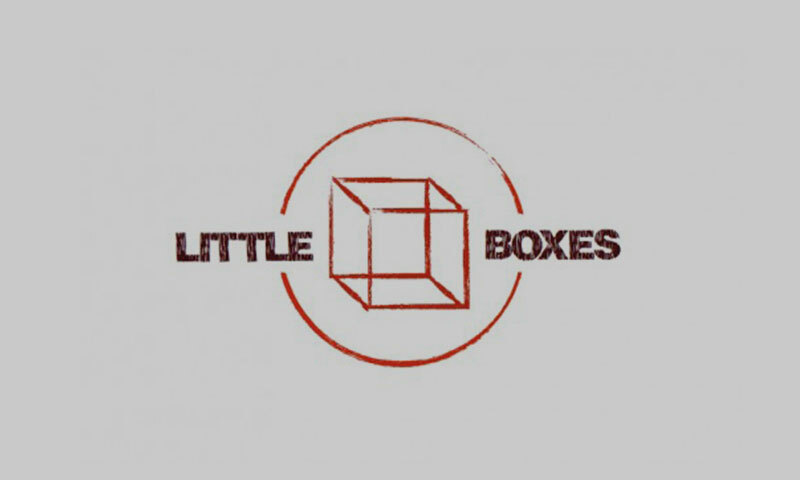 We are LittleBoxes.co.uk – fitting you in! Naomi and Louis are fighting for the same job. They’re getting all the Circles to throw away their football boots and demanding all the Squares cast off even the smallest specks of sparkle. They’re packing it all away, never to be seen again. But Lucy’s opened a door and she can’t get it shut. She’s found the room where all the Squares and Circles shove all the things that go against their shapes – and what if she doesn’t want to shut it? What if all the things they put away didn’t ever have to be? 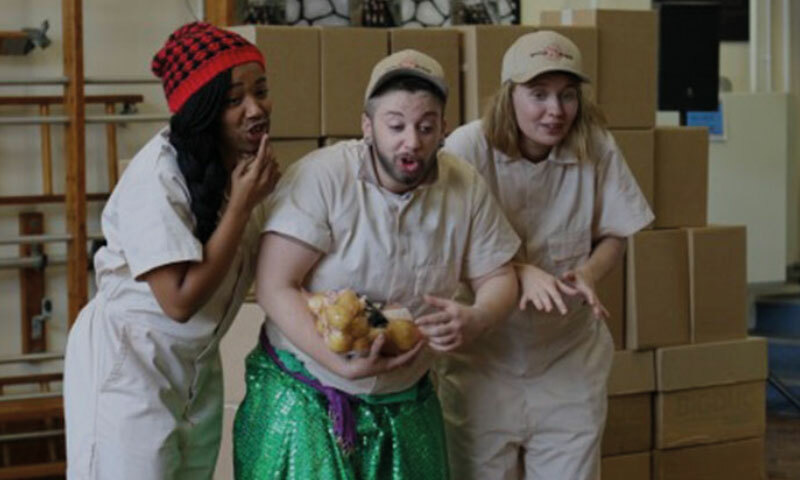 Little Boxes is a new interactive touring show that explores what it means to be a girl, what it means to be a boy and the things we give up in order to not seem like the other. 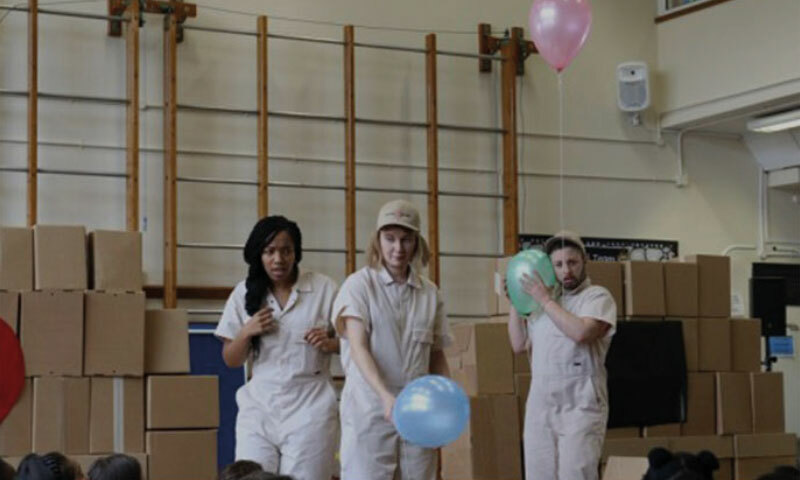 The play has grown out of four workshop residencies in County Durham, Manchester, Crawley and London in which we led conversations and creative activities with children in Years 5 and 6. 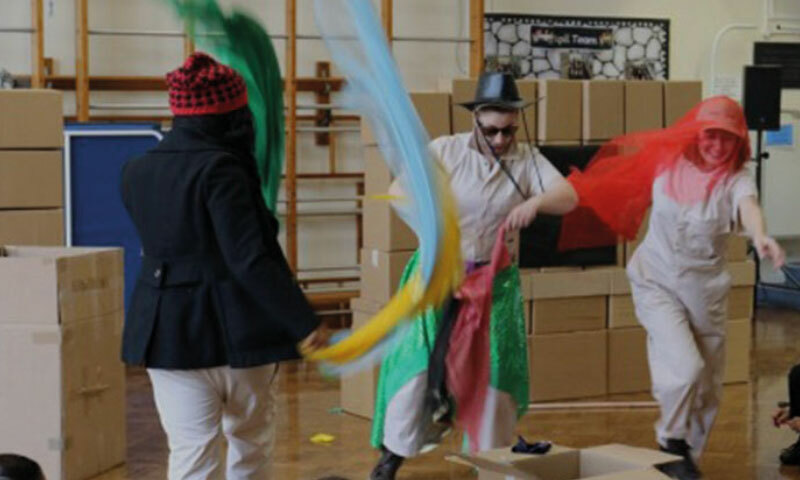 Funded by a grant from the Paul Hamlyn Foundation, Theatre Centre is developing a model of theatre-making with the child at its centre in process and in product. Little Boxesis not a finalised performance but the culmination of our research and development; we plan to develop the piece further following this process. Little Boxes is written by Robert Alan Evans (★★★★★ The Ballad of Pondlife McGurk, Broadway Baby) directed by Amelia Sears (★★★★ Brimstone and Treacle, The Telegraph) and produced by Theatre Centre, and will engage children directly – and creatively – in what it means to them to be a girl or a boy at this moment of their lives.